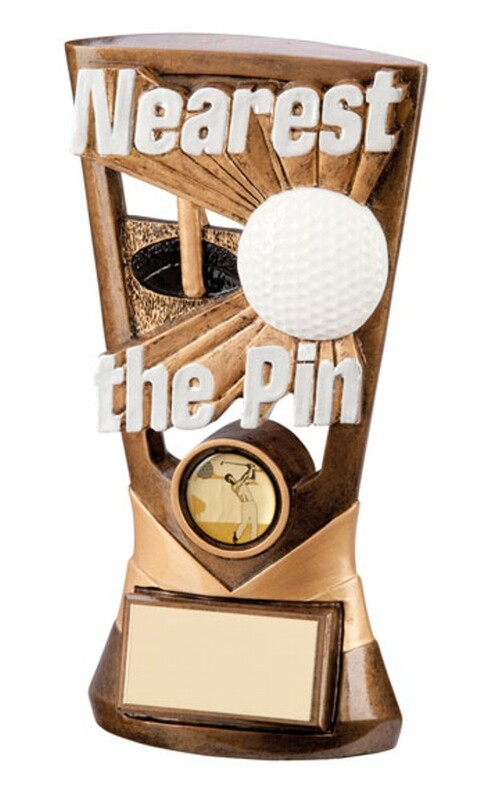 Resin Nearest The Pin Trophy. 180mm high nearest the pin golfing trophy. Antique bronze award with gold, silver and white detail.